Good morning and welcome to the opening ceremony of the Hong Kong SAR Pavilion. It is an honour to be here with you at Marintec China 2017. This year, it is the sixth time for Hong Kong to participate in this important biennial event since 2007. 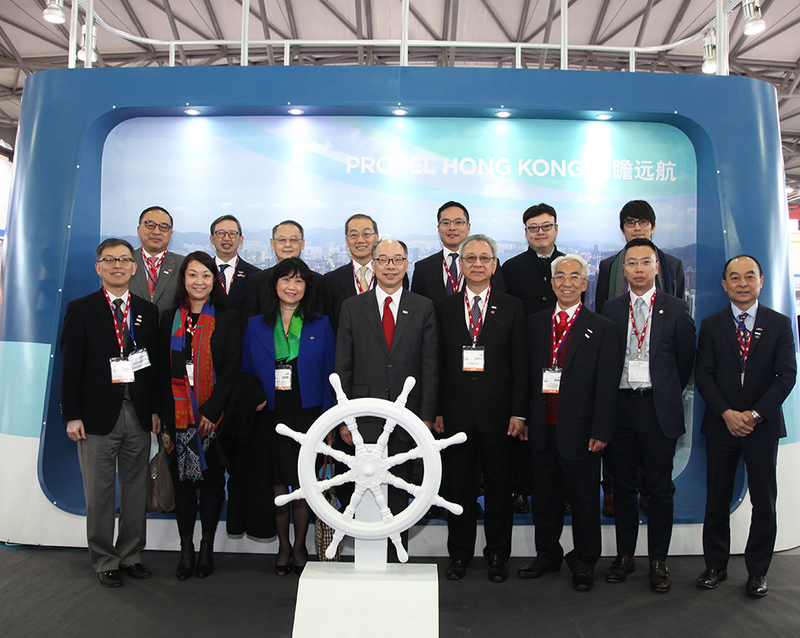 The Hong Kong Pavilion is set up by the Hong Kong Maritime and Port Board, in collaboration with the Hong Kong Trade Development Council and the Hong Kong Marine Department. Hong Kong is Asia's world city. Strategically located at the heart of Asia, we went global hundreds of years ago, and we now carry on our journey, hand-in-hand with Mainland cities, into the new era unveiled by the nation's Belt and Road Initiative. The Initiative opens up a new horizon, linking up economies and connecting people from the East to the West. The essence of Belt and Road is all about connectivity, in which Hong Kong has a clear advantage. 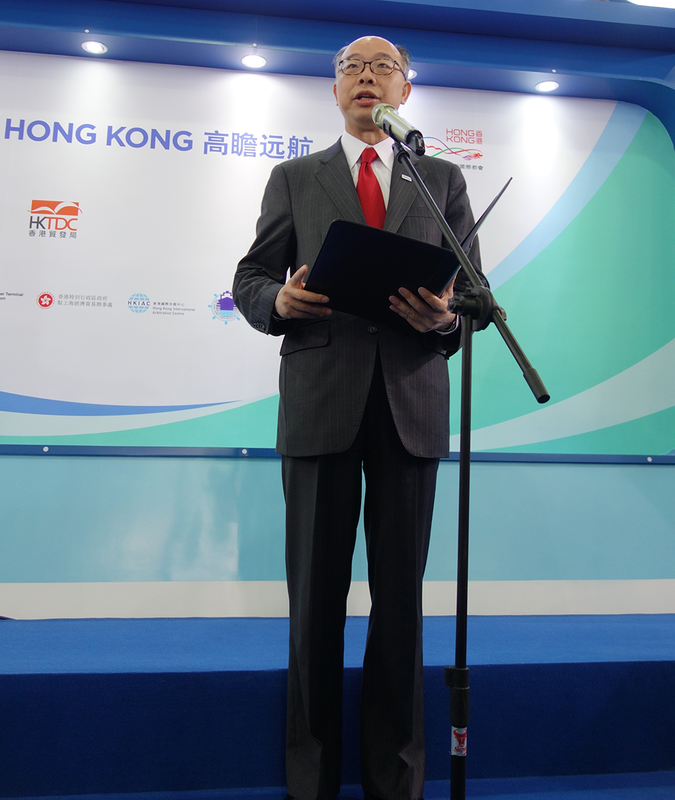 Hong Kong is a gateway connecting the overseas maritime sector with Mainland counterparts. On the maritime front, Hong Kong is more than Asia's world city. We serve as an international maritime centre and logistics hub providing value-added services for worldwide customers. There are unique advantages doing business in Hong Kong. Apart from excellent connectivity, Hong Kong enjoys a competitive profits tax regime compared with other economies. At the same time, Hong Kong has entered into double taxation relief arrangements covering shipping income with 45 trading partners. All these advantages have made Hong Kong a home base for many shipowners, who own or manage 9.6 per cent of the world's merchant fleet in terms of deadweight tonnage. In support of the shipowning business, a vibrant maritime cluster of over 800 maritime services companies is operating in Hong Kong, offering a myriad of services such as ship management, shipbroking and chartering, shipping finance, marine insurance, maritime legal and arbitration services. No matter whether you are shipowners or shippers, you can always find what you want under the same roof in Hong Kong. Hong Kong is your springboard, and your trusted partner, in maritime business. 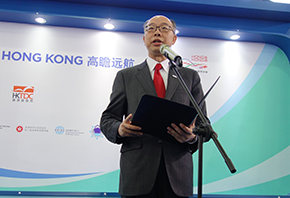 The Central People's Government has clearly indicated its support to reinforce Hong Kong's status as an international maritime centre under the National 13th Five-Year Plan. Needless to say, trade links, capital flows and infrastructure investment will be strengthened among economies along the Belt and Road corridors. Hong Kong, as the world-recognised freest economy, will seize every opportunity arising from the 13th Five-Year Plan and the national Belt and Road Initiative. And by working together, we co-create value for one another. The Hong Kong Pavilion provides an excellent platform for visitors to better understand the services we offer and to explore beyond what you have known. 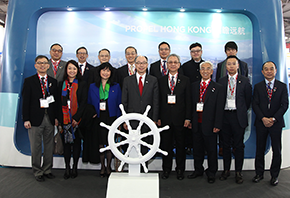 May I once again thank all the exhibitors, organisers and industry representatives for your dedication and hard work in setting up the Hong Kong SAR Pavilion. I wish Marintec China 2017 a great success, and wish you all a very fruitful experience. Thank you. Now, please allow me to say a few words in Putonghua for our distinguished Mainland guests and visitors.